The 403(b) market is booming, so much so that financial advisors need to pay attention. Total 403(b) assets have grown from $357 billion in 1996 to nearly $1 trillion in 2017, according to Potomac Fund Management. Employment growth for the healthcare and education sectors between now and 2024 is projected to run well above the national average, said Potomac, which actively recruits financial advisors to partner in the 403(b) market. That’s a “prime opportunity” for financial advisors, the company added. Known as a tax-sheltered annuity (TSAs) plan, 403(b) plans are open to certain public school and other tax-exempt employees. “How can a teacher or a healthcare worker - people who live and work under extreme demands on their time - be expected to know what to do with a list of investment choices provided without any guidance?” Potomac asked. It’s a big unknown whether these potential clients will ever find the time to do the required homework that helps them understand and establish their risk tolerance, analysts say. “And do they have the expertise to know how the investments in their portfolio may perform under certain market conditions?” Potomac asked. Financial advisors who work with 403(b) plan clients confirm those clients really do need all the help they can get – and that’s a prime marketing opportunity for advisors. Educators rarely look outside the suggested options for additional advice and direction, and that’s a mistake, said Hughes, who, with co-owner Lisa Bamburg, has a combined 31-plus years working with school personnel. But advisors often don’t have a good grip on what 403(b) clients need. When it comes time for retirement, holders of 403(b) accounts often fail to consider their rollover and income options, Bamburg added. The key to fixing that scenario is to act like teachers themselves. Through these workshops and seminars, advisors can give easy-to-understand explanations to 403(b) account holders, Bamburg said. “They can then demonstrate the various options and avenues available for increased growth and, if necessary, future income,” she said. 403(b) account holders are also drawn to financial advisors they can trust, Hughes said. “If advisors show that they truly care, are knowledgeable of the individual’s situation and are passionate about making sure the client feels valued, they have success in this market,” she said. 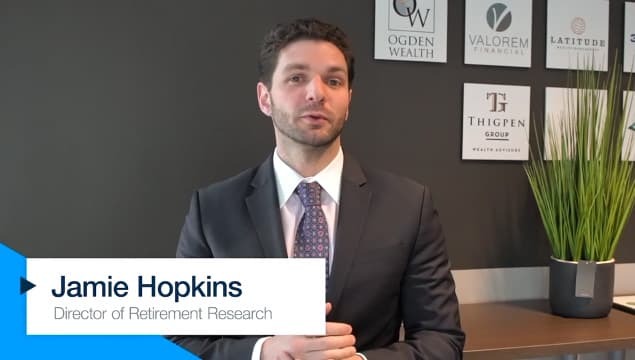 Advisors looking to “crack the code” on 403(b) clients need to re-evaluate the way they look at retirement-minded clients. “The 403(b) market is quite different for those advisors used to working on the 401(k) side,” said Edward Dressel, president of Retire Ready Solutions, a Dallas, Ore.-based developer of retirement planning software. • Many 403(b) participants are public-sector employees, such as school teachers. “These public-sector employees will often have a pension as part of their retirement plan,” Dressel said. • Unlike working with company 401(k) plans, access to 403(b) participants is often restricted and hindered by rules and regulations. Dressel echoed Bamburg’s suggestion to offer free seminars on topics of interest to public employees. • Lastly, advisors wanting to break into this market need to understand that while the 403(b) looks a lot like the 401(k), there are important differences. “Reviewing the IRS guidelines for the 403(b) can inform you on the basics, and can help you understand what investment options are available, since 403(b) plans may also be different to what advisors are accustomed to seeing,” Dressel said. Many government employees operate in a complex, bureaucratic environment. Pensions are complex and can be difficult to understand. Evaluating 403(b) options in combination with the pension and Social Security can be confusing, Dressel said. “Advisors who take an educational approach and try to simplify some of the complexity will quickly build rapport and appreciation which leads to new business,” he added.